Having never visited Hawaii I have absolutely no idea what the traditional cake Hawaiian cake would be until I discovered Haupai Pie. 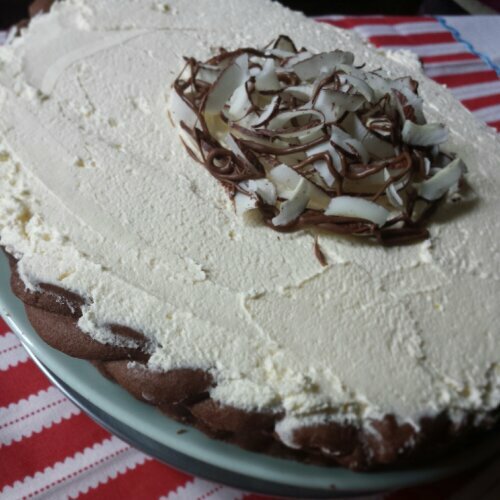 I’ll never look back from this tropical chocolate, coconut cream dream pie. Trying to decide on a birthday cake for my sister I put a call out for inspiration on twitter and Haupai Pie was suggested by the lovely @FoodandFrets. 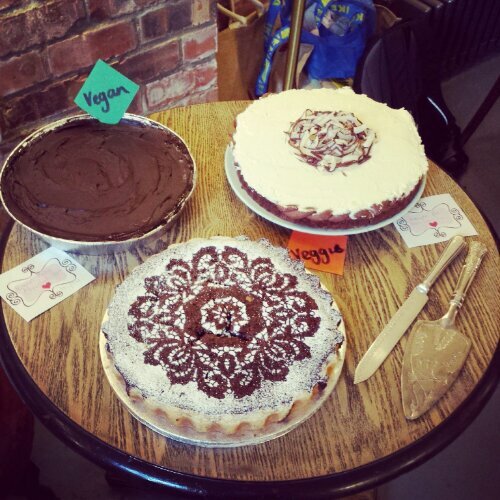 I knew instantly that this was the pie for me especially with my upcoming trip to @private_pie club which was to be held the amazing Quilliam Bros Teahouse (which is incidentally also my favourite shop to visit with their millions of teas brewed to perfection and spectacular peanut brownies). The theme of Private Pie club this month was ‘free from’. I interpreted this to mean free from meat but not free from calories. Recipes vary for Haupai pie. 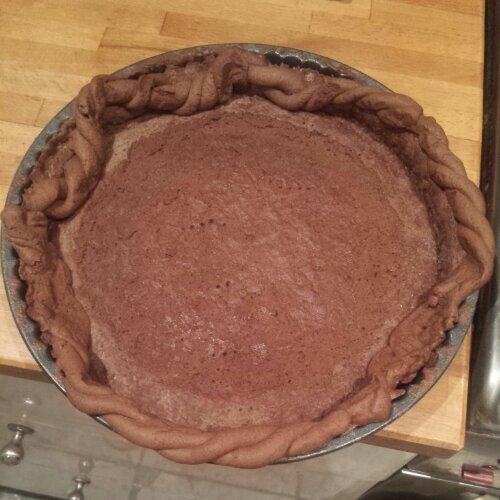 Many require just an unspecified ‘pie crust’. 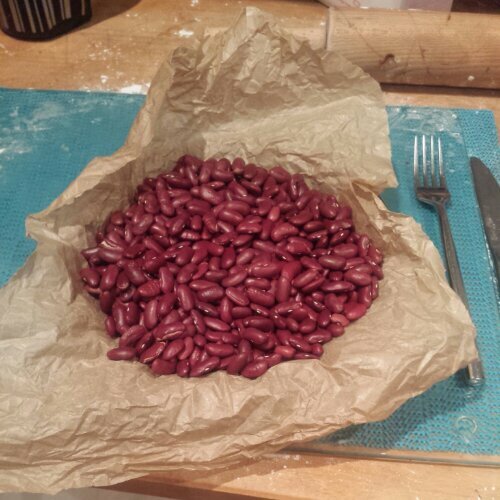 Which is helpfully vague but also means I can do what I like best in the kitchen, and make it up as I go along. 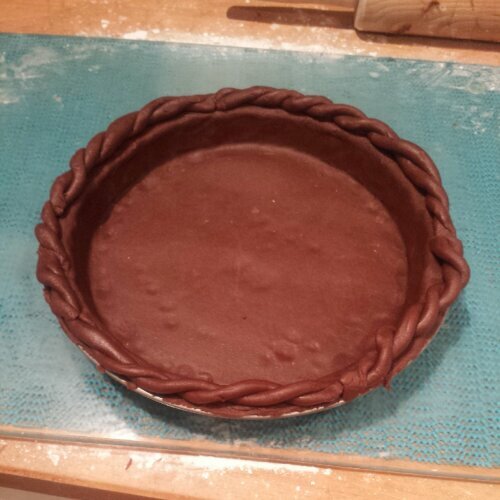 Sweet chocolate pastry pie crust it is then for me! Pastry is not my forte. It’s no secret. 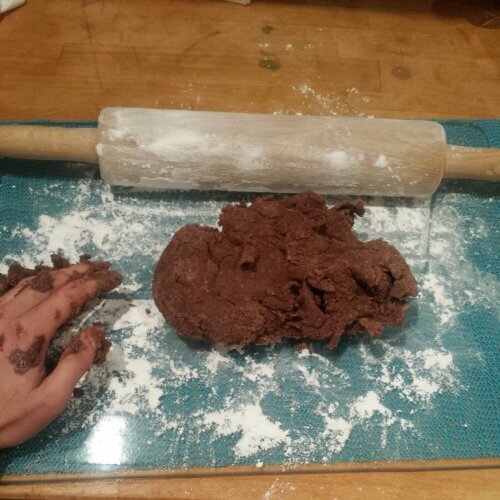 I have heard that chocolate pastry is particularly difficult and delicate but who cares what the worriers tell you. Just plough on through and it’ll be fine. If I can make it I’m sure anyone can. Infused with confidence, having churned my own butter recently, I set to work using my Homemade butter to make this challenging crust. 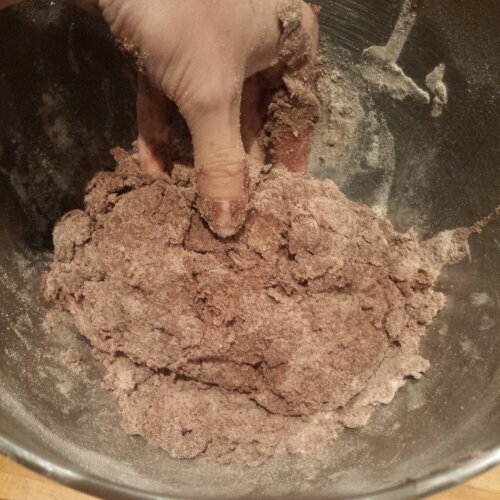 An egg is used to enrich the pastry and bring the dry mixture together. I also added a splash of milk to get the pastry to a good rollable consistency. Once it starts to come together, tip it onto an icing sugared dusted surface and knead it lightly and pat it into a round. Moving the pastry as little as possible is apparently the key to good pastry (and cold hands, which I have even in summer). Lightly rolling the pastry away from you, in one direction, turn the pastry 90 degrees clockwise, roll again and turn. Keep repeating until it’s about 5mm thin and big enough to line your tin. 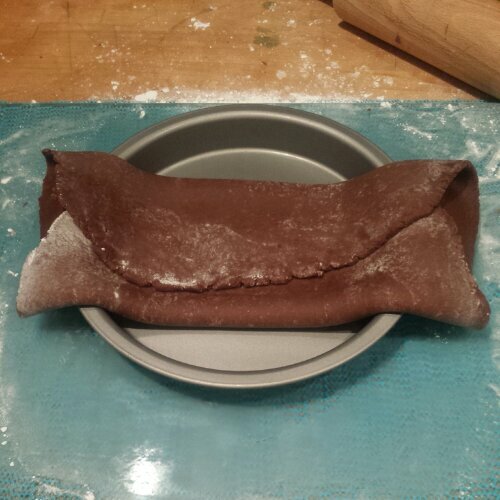 The best tip I have is to trim off the excess pastry, making more of a round shape as you roll to help keep it all under control. It makes life much easier when trying to fling the pastry into your tin too. 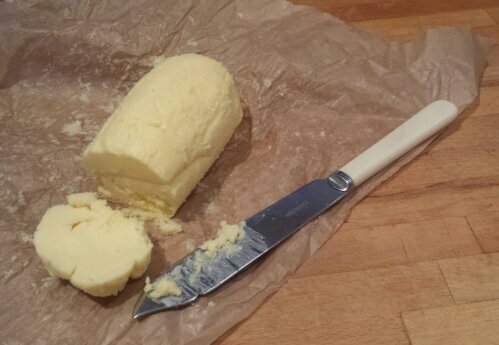 Also as the pastry has a high butter content, there’s no need to grease your tin. Hurrah! Another job saved. 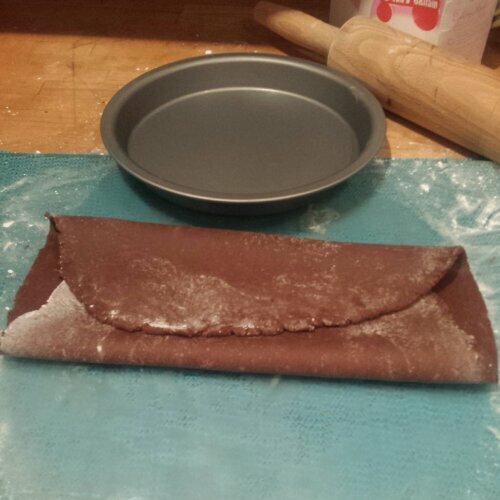 My method is to fold the pastry like an envelope, into thirds and lift it into the middle of the tin. 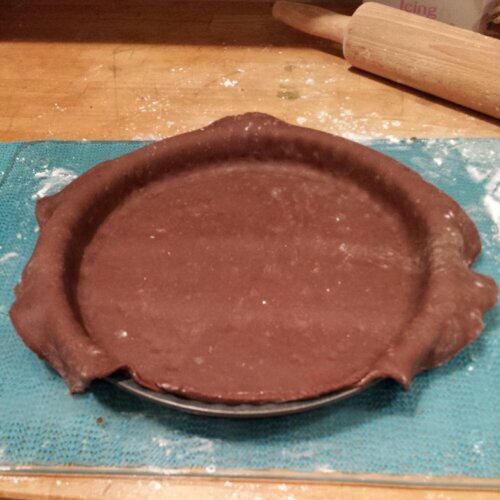 Then all you have to do is unfold the pastry and gently press it into all of the nooks and crannies of your tin (I chose a tart tin with a wavy edge for my main pie). If your pastry is extremely delicate you can press it using a piece of cut off pastry instead of your fingers to stop yourself from poking a hole in it. 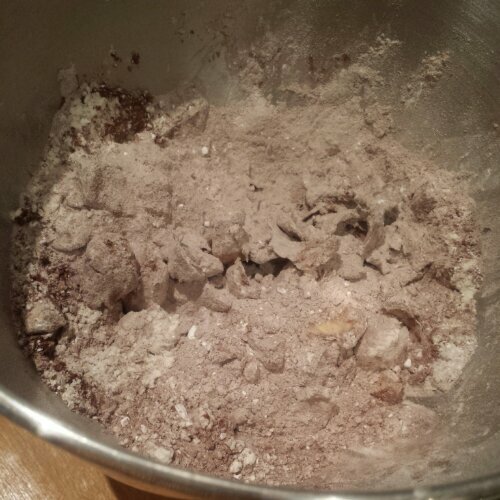 Once the pastry has relaxed and is pressed tightly into the tin you can trim off the extra and save it for later. This recipe made enough pastry for 2 pies! So I made a bonus practice Haupai pie. 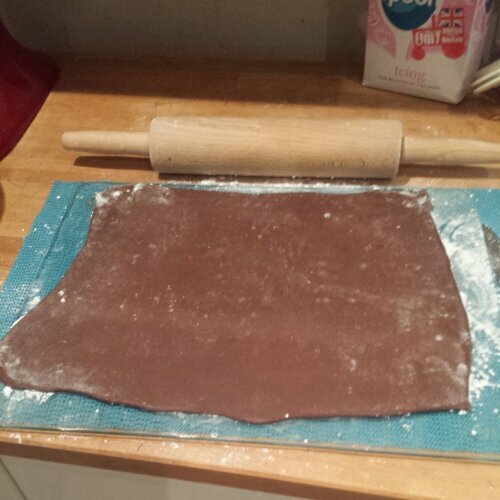 You could freeze the raw pastry for another day if you prefer or make some tasty biscuits instead. The pastry needs to chill in the fridge for at least 10 minutes before blind baking the case. Before baking the chocolate pastry case prick the pastry all over with a fork to stop it bubbling up allowing you to fill it evenly later on. 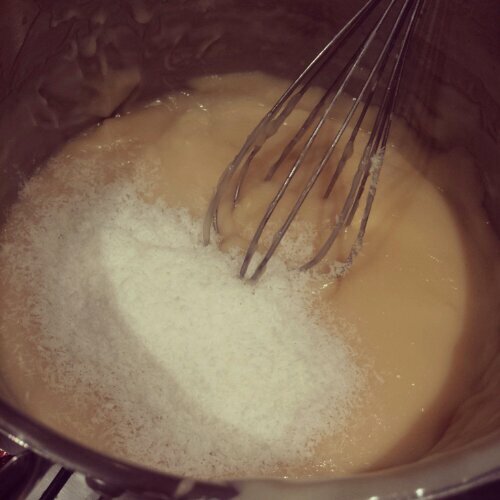 Miraculously the custard thickened immediately after I poured to full amount of cornflour into the mix! 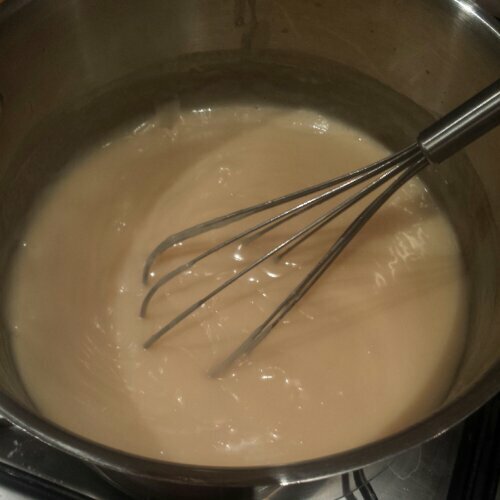 Producing a gloriously thick and glossy custard. The custard then needs to be divided in half to whisk chocolate into one half and dessicated coconut to the other, until you get a beautifully shiny chocolate custard and a wonderfully textured coconut pudding custard. 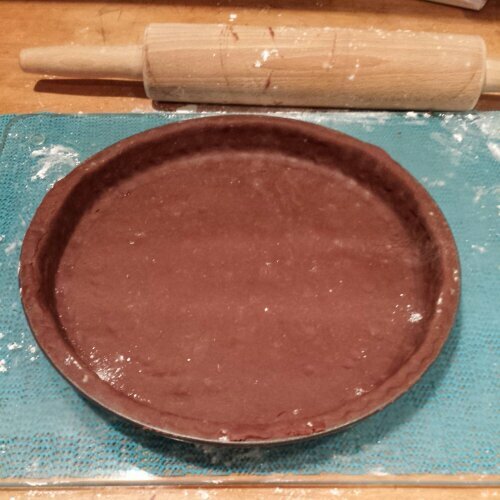 With your cooled chocolate and coconut custards at the ready, the rest of the Haupai Pie assembly is pretty straight forward. 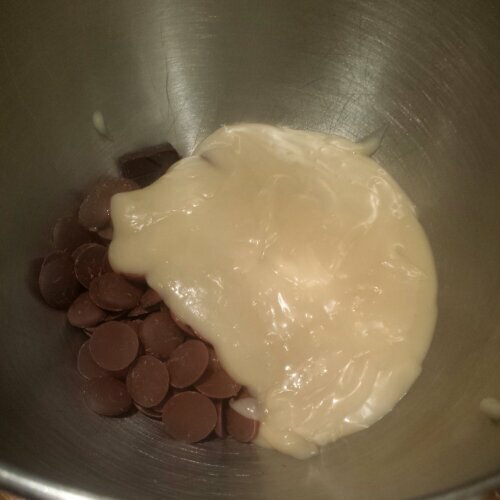 Pour the chocolate layer in first and spread evenly over the base, followed by a layer of coconut custard. 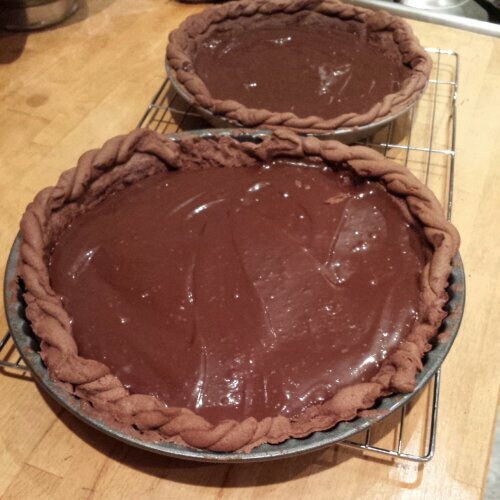 As I was making two pies, I ran out of coconut custard for my second pie, but you get the gist of it… You could just make one really full pie instead if you prefer or have a much more chocolatey second pie, like me. Whilst this is setting in the fridge, take the opportunity to whip up your double cream with a little caster sugar, until fluffy and light. Spread a final thick layer of whipped cream evenly all over your pie and decorate with chocolate, or coconut or a combination of the two! With two pies to decorate I made one with chocolate buttons and another with homemade coconut curls and a milk chocolate drizzle. I absolutely love Haupai Pie! 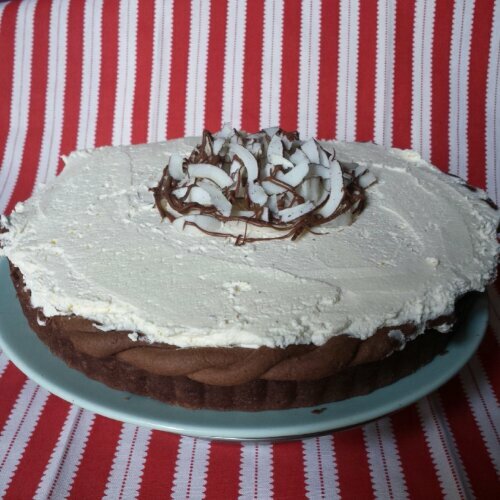 I love the triple layered effect, with the dark chocolate pastry and custard contrasting with the mellow coconut custard and the white whipped cream! 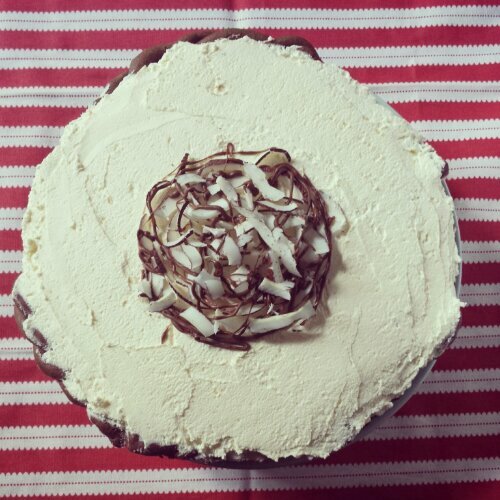 You can probably tell I have a bit of a coconut fascination, so this pie is right up my street. 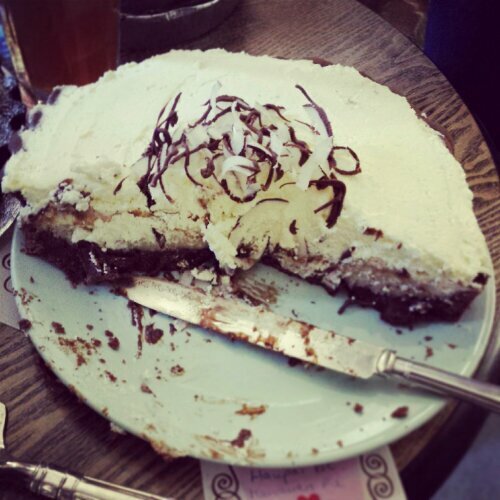 The crisp chocolate base is the perfect partner to the smooth and creamy filling. 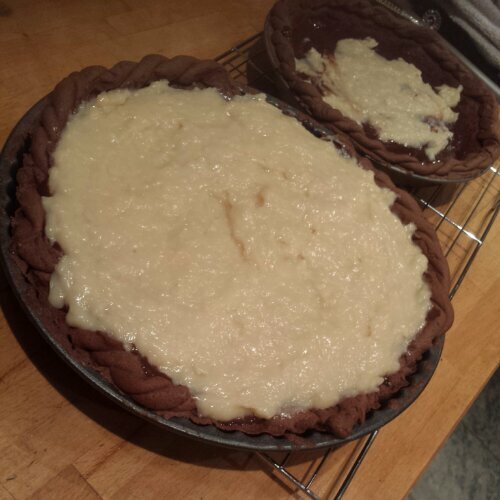 Adding the extra dessicated coconut to the custard gives an added texture and interest to the pie too. And despite my crust slipping into the pie, I quite enjoyed the extra thick crust. I could quite happily eat chocolate pastry every day. Who would have thought that this time last year I thought that I didn’t really like pastry or cream?! I’m so pleased I persevered and not only do I now like pastry and cream I can now say I really do LOVE it. I was worried that I had prepared the pies too early as I made them on Monday to be served on Wednesday. I feared that the custard would make the pastry too wet. But lo and behold it was still perfectly crisp after 2 days. 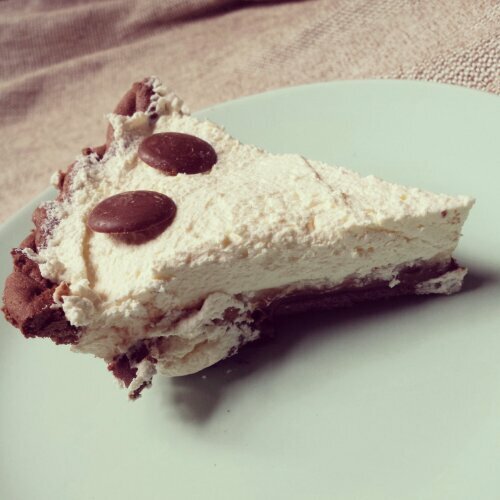 This pie definitely needs to be kept in the fridge and is probably eaten as soon as possible but rest assured it keeps very well for at least 3 days (if it lasts that long in your house!). Blind bake for 15 minutes at 180 degrees c.
Bake uncovered for a further 5 minutes, until evenly baked. 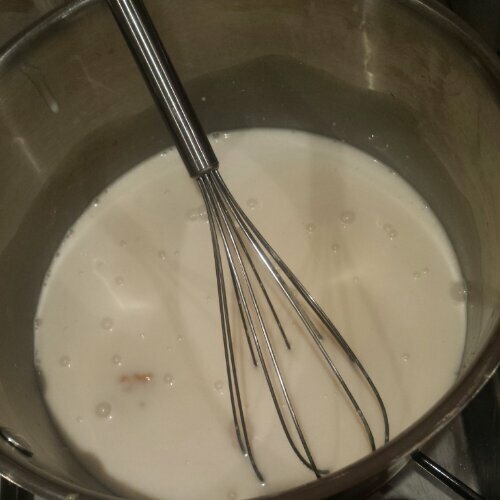 Heat milk and sugar until boiling and simmer for 5 minutes to thicken. 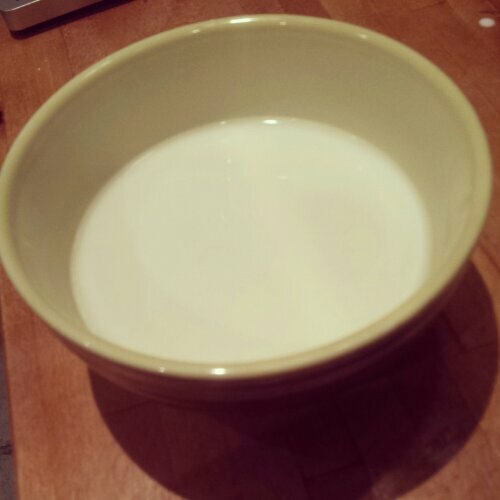 Mix the cornflour and water until dissolved. This pie looks ridiculously moreish. I was just about to ask how you manage to stop your pastry from shrinking! The next photo answered the question. Brilliant job though none the less. I like the way you made two! So pleased it turned out well, sigh of relief for me! Pity your pastry work melted, it looked fantastic! Do you think that’s because of the icing sugar melting quicker than caster sugar would? Anyway, well done it looks delicious! Who cares as long as it tastes good! Gutted I missed it, might just have to make it myself!